This past week on our Discord Monday Chat we discussed a bug in Name Bazaar. Although the bug had persisted for a while, it was not until a few of our users pushed the issue into view that we were able to get it resolved. Please don’t hesitate to let us know about issues like this in the future. This uncovered a deeper issue that we were able to fix and since our districts are standardized, this resolution will be implemented across all districts. Thanks again to our community members for raising the issue. Additionally this past week our Marketing Lead, P.J., participated on a panel at Aracon in Berlin. Livestream of this event can be found here with P.J.’s panel on the current state of TCRs taking place towards the end at the 3:24:00 mark. This past week on the DApp Digest we hosted Jim Waugh from Cre8 and Bideo. The interview centered around what Cre8 is doing with continuous token generation and governance as well as ERC888 (Multi Dimensional token standard). The Dapp Digest is an interview podcast talking with some of the leading minds building decentralized applications, helping you digest decentralized apps and the networks they’re built on. 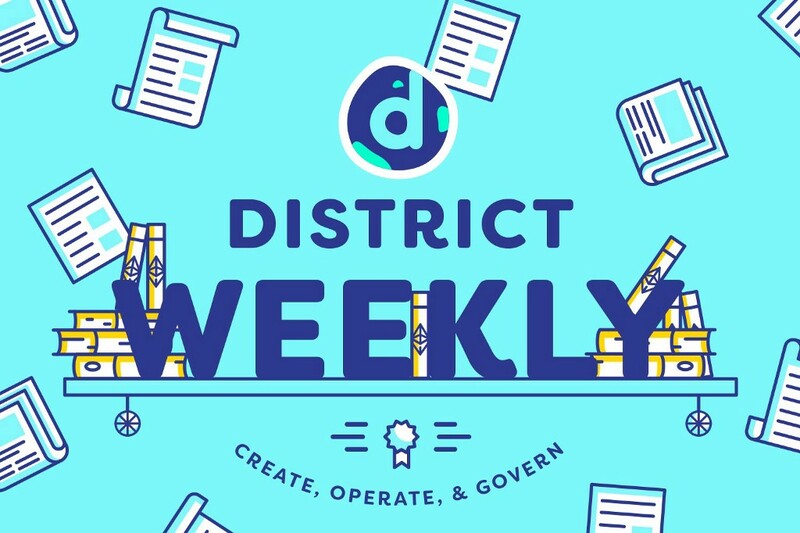 Stay tuned for our regular community livestream every other Tuesday at 3PM PDT (10PM UTC) as a forum for discussing recent updates to the district0x Network. You can join us on Mixer, Facebook, Twitch, and YouTube. No new proposals this week!